Over the past 15 to 20 years, progress in information technology has come to play a cruel joke on journalism. The ability to instantly report on events happening at the furthest corners of the globe has brought maximum efficiency to the profession, breaking down borders and making the world ‘smaller’. Yet this progress has resulted in information overload, allowing the media to flood people with an endless stream of news, opinions and comments, which few people are capable of digesting. Under these conditions, so-called ‘explanatory journalism’ has come to play an increasingly important role. This is journalism that tells its audience how a particular incident, phenomenon or statement impacts them personally, and how it relates to their value systems and principles. In a pluralistic society, the commitment to a particular belief system is important for building audiences around specific media resources. Conservatives and liberals, supporters of free enterprise and socialists, supporters and opponents of migration, tend to group around the publication which best reflects their personal views. As practice shows, this approach does not necessarily preclude editors’ commitment to objectivity or accuracy, or to presenting a balanced point of view-though this is largely a matter of editors’ professionalism. Nevertheless, it’s difficult to imagine Libération welcoming a raise in the retirement age, the Financial Times – outrage at tax cuts for business, or even Vice News opposing the legalisation of marijuana. But ideological bias does not transform journalism into propaganda. Rather, it promotes discussion both between different social groups and within them. In over 20 years of independence, Ukraine’s domestic media has never become a space for this sort of discussion. The reason? The near complete absence of active discussion in the media, as well as the inability of most Ukrainian citizens to identify the key questions facing society and to split into-at the very least-left- or right-wing, conservative or liberal, supporters of mono- or of multiculturalism. For instance, the ‘hot topics’ in Ukraine’s media prior to 2014 included the status of Russian language and issues relating to historical memory, such as the actions of the Ukrainian Insurgent Army during the Second World War. Most media outlets never managed to clearly crystallise their position on these topics, thereby maintaining the illusion of objectivity. As a result, Ukraine’s levels of civic engagement and political culture can best be described as ‘low’. This situation allows a single party platform to promise both radical market reforms and ‘buckwheat’ (code for food security), communism and Christian Orthodoxy. The turbulent events of the last two years have greatly increased the level of civic consciousness in Ukraine, but, at the same time, have completely confused it from an ideological perspective. And the mass media has played a largely negative role in this matter. Rather than determining their position on the geopolitical options, the revolution of February 2014, the annexation of Crimea or the war in the Donbas, the majority of Ukrainian media took sides on these questions depending on the interests of their owners. 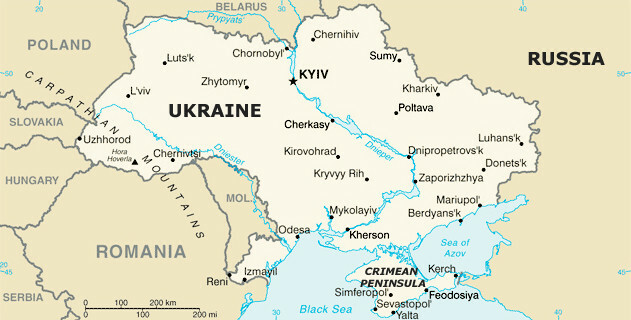 Rather than drawing a line in domestic politics between democrats and authoritarians, believers in the free market and statists, pacifists and militants, clerics and secularists, journalists simply divided readers into supporters and opponents of European integration-pro-Maidan and anti-Maidan, vatniki (citizens of the south-east deemed to be pro-Russian) and vyshivatniki (citizens of ‘patriotic’, anti-Russian views), patriots and separatists. Instead of being a space for public discussion, Ukraine’s media has become a battlefield of propaganda and counter-propaganda. The result has been a rapid decline of public confidence in the media. According to surveys conducted by the Democratic Initiatives foundation and the Razumkov Center in July 2015, 47 per cent of Ukrainians do not have confidence in domestic media, while 45 per cent do. In two years, Ukraine’s balance of confidence/non-confidence in the media has decreased. Journalists are losing their monopoly on the distribution of information; volunteers, army officers as well as members of volunteer battalions enjoy a much higher rating of public confidence. Many of these figures regularly post achievements and problems on Facebook, showering government officials with blame and raising morale through patriotic anecdotes. These bloggers often have more subscribers than your average online media source. Of course, posts on Facebook are far from objective, or even true. But nearly two years on from the deposing of Viktor Yanukovych, neither objectivity, nor truth are in demand. In the past 18 months, Ukrainian society has become accustomed to hysterically consuming information, which is designed to provoke an emotional rather than analytical response from its audience. Citizens are tired of the war and the crisis, and are increasingly disillusioned with the new post-Maidan government. Thus witness the birth of two hashtags that have come to define our response to news: #zrada (#betrayal) and #peremoha (#victory). ‘I don’t understand. Is this #betrayal or #victory? Help me figure it out.’ This ironic comment on social media has rapidly become Ukrainian society’s latest demand when it comes to the media. And as the press loses public confidence, it is left with no choice but to apply this simple dichotomy to everything happening in Ukraine. This has turned out to not be so simple. Take the Minsk-2 peace agreement, for example, which demands not only the immediate bilateral ceasefire, extensive monitoring, prisoner release and decentralisation of power, but also early local elections in rebel-held territory. Clearly, ceasefire in the Donbas is a #victory, yet the participation of separatists in future elections can be seen as nothing other than #betrayal. This ambiguity is clear, but Ukrainian media still remains unprepared to accept the fundamental non-homogeneity of its audience, and of society as a whole. It cannot explain to its readers why victory for one person can be considered betrayal by another. Instead, many publications prefer to alternate perspectives in an attempt to support discussion. That is, of course, if choosing between victory and betrayal can be called a discussion. This article first appeared on Ostpol.de in translation by Dinah Zeldin. We are grateful for Ostpol’s permission to repost this article here.